119 San Acacia Rd, in San Acacia NM. Centrally located just 63 miles South of Albuquerque, with direct access to I25 you are just one hour from an International airport and minutes to NM Tech, a thriving University since1889. The Adobe home dates back to circa 1840, providing an Old World Adobe Feel with all of the Modern Amentities. 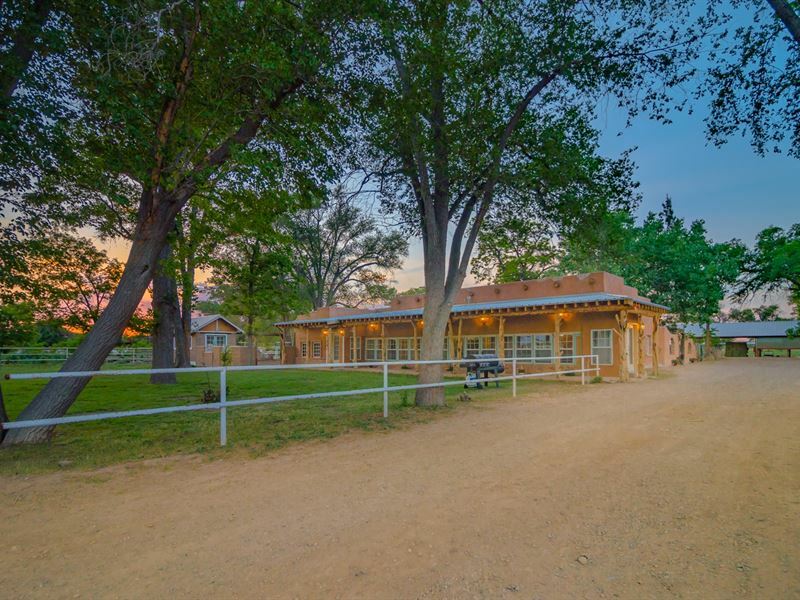 Located on 3+/- acres with an arena, covered stalls, tack room and hay barn. Included is an additinal 3+/- acre lot about 1/4 mile from the home, currently producing alfalfa. Ditch irrigation water provided to feed the yard and alfalfa lot. Some of the many distinguished features of the home include hardwood floors, kitchen with custom appliances and cabinetry, stone fireplace, original tile ceiling in living area, 2 enclosed porches with windows galore providing natural light and views of the stunning property. Call today to view this impressive horse property with a piece of the puzzle from days long passed.